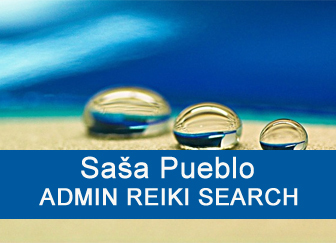 Solid Reiki research based on testing and verification. Getting know different Reiki systems. Now we will take care of Reiki which is connected to poltergeist. Here goes also Reiki shamballa and animal Reiki. Reiki dolls are the peak of connection of such Reiki systems. We have here unique level of Reiki which is established on certain types of pathologies and demages in the brain. If the esotericist does not suffer from some brain damage, it is necessary to learn concentrating techniques that allow slow down activity in the brain and open up activities in the spinal cord. In the long distance research, we have checked those people who actively do shamballa. In most cases, there have been some signs of cerebral palsy that have already occurred in the embryonic period and these individuals have remained permanently open spinal cord. Persons with standard brain do not have open spinal cord functions from childhood in adult age. After the brain activity is diminished by the meditation concentration, the system of the spinal cord, vertebrae and platelets is then opened and activated. The spinal nerve is rough as the graphite inside the pencil. Concentration meditations gradually revive the spinal cord and the ability to trigger childhood functions that the system has blocked. Activities in spinal cord from childhood trigger interest about animals in nature. 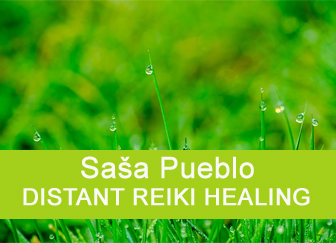 For example, Reiki can treat animals on the place but also many miles away. The system of dedication of the animal being treated is even practiced. Animal attunement is already the top level of the Reiki system. Here is also needed the ability to remotely through videos on the Internet connect on animals which received attunement and Reiki. For this purpose are used mainly shamanic techniques – during meditation to work through the spinal cord and muscle to feed animals. At the same time pushing the mind to see no difference between you and the animal. Keep in the spinal cord the feeling that you were born and you lived together. Even if you are siamese twins. Or the pet is your loving child. Other techniques of connections are also possible. It is extremely important that you learn distance Reiki technique of connecting your spinal cord on the spinal cord of the animal. Little will happen when you operate only on animals near to you. Reiki can also be used for animals in the zoo. Here I would recommend you to start. Speed up your progress if you let yourself to attune personally on the place or at a distance by shambalists and people who live in nature and refuse to live in today´s society. It is important that these people have at least partial paralysis of the brain and its damage. We do not want to shame shambalists, but the distant testimony confirms that a good shambalist must have a part of the brain damaged by celebral palsy. Personally, I’ve gone a long way to think outside my brain with the help of Kabbalah and the brain in the back of my brain, even though I have 6 times more neurons in my brain than ordinary people. Thus thinking is outside of my neurons, respectively. is minimized to 10%. Such an approach allows to preserve the intellect, to use these techniques and not to have brain paralysis. But these are demanding techniques. Thus the brain is blocked by concentration meditation, thinking is halted and concentration is in the spinal cord along its entire length and connection to animals. Persons who meditates Reiki are nearer to animal kingdom than to human society. So you feel better among pigs then among people. Refuse to think and want to just move. In such circustamces can be open the possibility to do Reiki motions in the spinal cord. As if you were drawing Reiki character or other character constantly on the floor and then describing it with small steps. Alternatively, you can use tail bone and the former tail function. Here, sleeping neurons must also be activated to do movement with the non existing tail. And if you do this in a few years’ practice, this area will show micro-motion of tail bone muscles and the permanent movement of motion signs will occur. If you’ve mastered above techniques, you can move on to further bridging the forces coming out of the spine where the spinal cord is. It is about connection on people and mainly women who produces in the spinal cord something as poltergeist. This is an extra force in the spinal cord. You produce a closed energy object that will already flush your eye muscles. You feel painful on your body. In extreme cases, an empty cup on the plate can vibrate. So, from a distance, you transfer the poltergeist reaction to yourself. Most often you will find these people in America, where some Americans are growing fearsome fantasies about tossed dolls, but also to dead children and so on. Of course, there is a lot of experience on such techniques. It is best to link the spinal cord and the energy from it to prehistoric structures in the human body. These unknown structures arises during pregnancy and each of us have them. Evolutionary doctors say about 200 such structures in the human body. And so at a distance you are searching for people who have these structures activated. 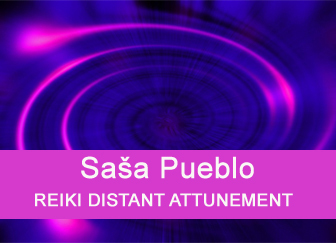 Those who reach these states perceive something in the aura as a closed energy object. Most often as something animal and demonic. But it is possible to learn how to manage it and to give him, for example, healing commands. Proceed cautiously and reasonably. 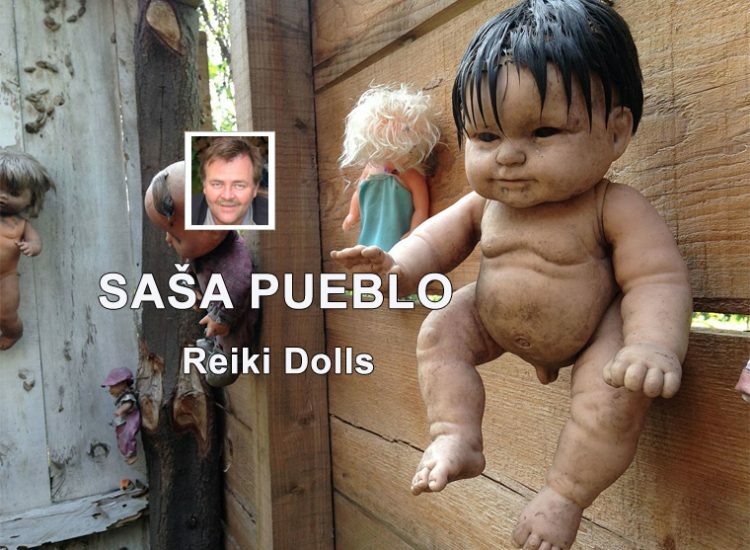 Dizzling dolls and children bust the spinal cord and spine heavily on prehistoric structures. And by the way, these prehistoric structures contain inactive stem cells for the powerful regeneration of the organism and it is worthwhile to control this type of esoteric and spirituality. And there is another great opportunity to go to activities in the spinal cord with blocked brain activity by meditation. These activities in the spinal cord must be activated, in childhood were opened, they are blocked during adulthood. As so certain period will take while you drive and open the spine. It´s more about animal Reiki and not human Reiki. With animal Reiki, the number of active neurons decrease in the human body and then it is strange that you are able to think and have Reiki in the spinal cord. Then manage long-distance contacts with animals and so all animal Reiki can be written to the brain through movement rather then through images or abstract font and alphabet. The best is to practice physically chikung, taichi, kungfu and animal movements, shamanic trans movement as well as movement of prehistoric people. 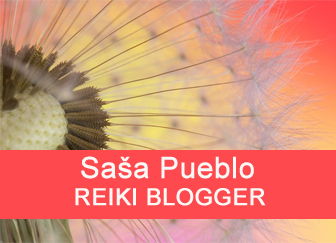 It´s Reiki based on memories how you have moved and not what you have thought about something and what images you have had. There is shamanic connection to Shambalists and those who sufferer of excessive activities in spinal cord. Fear is a natural part of animal life. Fear of your life. And then the fear of the beaten and damaged people and animals. Everything from Victorian period will help. It will help everything around the meteorites. So you step up to poltergeist. You are adding woodoo dolls. Concentration from the spinal cord flows into prehistoric structures. You perceive strangely worn animals in and out of you. And, at this point, you add a connection to people skeptical of healing, esotericism, religion, and miracles. They are against, but so often and strongly seek arguments against miracles, that they will allow you to realize a stronger poltergeist than when you understand it illogically. 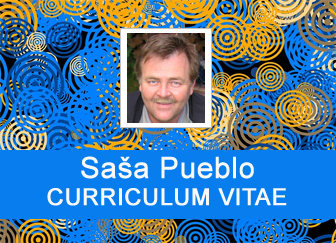 Strong logic of skeptic people helps to grade and make the way to miracle through the spinal cord and animal Reiki. Self-reluctant attitude to hate helps to rationalize the miracle and to do it to a large extent. The island of dolls – hundreds of destroyed dolls hang on trees on their dried twinks and on verandas of wooden cabin huts. The mask is an imitation of a human or animal face that was used in various religious rites, manufactured from canvas, later made of leather and wood. During the era of theater in ancient Greece, the masks were made of plaster. The Victorian era of the United Kingdom is the period of Queen Victoria’s rule which dates back to June 1837 after her death on January 22, 1901. Her government was a period of long-term prosperity for the British. Profits earned from the British Empire overseas as well as industrial improvements in the country have enabled the development of an educated middle class. Horror is a sign for prosaic literary, film work (film, novel, etc. ), which is designed to inspire the viewer or the reader with a variety of feelings of fear. The genre originated in England in the 18th century in the form of narrative about the medieval past, which was covered with ghosts, spirits, and the like. The Story of Ghosts can be any piece of fiction or a drama that contains a spirit. The “spirit” can appear at will or be called by magic. Fear is the feeling of discompose from comming negative situation, negative feeling, an unpleasant emotion, an unpleasant experience with a neurovegetative accompaniment, usually blinking, clapping, rapid breathing, heart pounding, increased blood pressure and readiness for defense or escape. Fear motivates to avoid negative situation or escape before it. Where that is not possible, there is often fear changing to aggression. The word poltergeist is of German origin (a blooming, noisy spirit) is a supernatural being, an invisible spirit that moves in flats, makes noise, moves with objects, or even destroys them. In some stories he is able to levitate those things in front of men eyes and sometimes even throws things on them. A haunted house is a house or other building believed to be inhabited by ghosts of the dead, who may be former inhabitants or owners. Parapsychologists are attributing to the fear of the dead or as a phenomenon that is the result of violent or tragic events in a building, such as murder, suicide or sudden death. There are places over whole world where ghosts and supernatural creations haunt including demons. The death of man (computer science) is the end of life, the disappearance of all life functions, the termination of communication between the psyche and the organism. There are two phases – clinical death which is defined as stop functioning of vital organ functions, that cause irreversible damage to the brain tissue. Biological death – Ultimate, irreversible condition, permanent and life-threatening damage to brain tissue. The near-death experience has no generally accepted definition. For people close to death are people whose physical condition would end up in death if they do not improve quickly in different circumstances. The experience must be clear at the time of dying without fragmentary or chaotic memories. Clinical death is a medical term for ending blood circulation and breathing, two necessary criteria for maintaining a person’s life. Such a situation occurs when the heart stops beating in a regular rhythm, this condition is called a cardiac arrest. Cerebral palsy is an indication for a set of non-progressive disorders of the brain’s motor development or other damage at an early stage of development, resulting in particular in motion disorders. Shamballa is the mysterious earth associated with the Tantric meditation deity Kálacakra. It is said that Shamballa is located in the north or in the universe and this place is often associated with Central Asia. Woodoo dolls made of rags and other materials pierced by pins with intent to cause physical damage. The European Council of Skeptic Organizations (ECSO) covers skeptic organizations in Europe, focusing on coordinating the activities of European organizations and individuals aiming to critically investigate pseudo-scientific claims and allegations concerning the observation of paranormal phenomena and to make results of its investigations available to the general public. SKEPP is an independent Belgian skeptical organization which states that protects the public from declaring claims and healing treatments that have not been subjected to critical testing and could therefore be threatened. List of skeptics and association of skeptics. This list contains main associations of skepticism and the selection of former and active members. This article concerns a skeptical organization based in the United States. Organization of skeptics was established in 1992, with around 50,000 members worldwide. Organization skeptics is involved in many activities. One of its main activities is the publication of Skeptic magazine. Australian skeptics are a free confederation of similarly minded organizations all over Australia. Australian skeptics investigate supernatural and pseudo-scientific claims using scientific methodologies.